This false-color, close-up look at Enceladus yields new insight into the different processes that have shaped the moon’s icy surface. 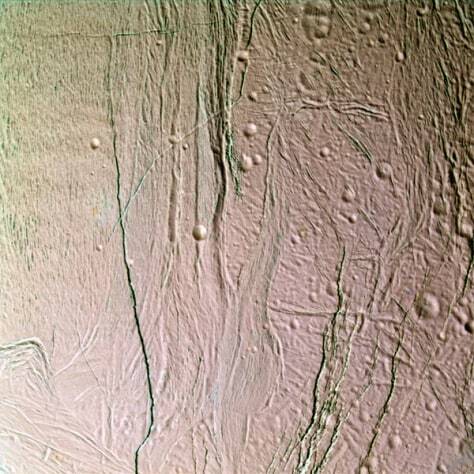 Extending through the center of this image, a system of two-mile (three-kilometer) wide rifts and 12-mile (20-kilometer) wide lanes of grooved terrain separate two distinct geological provinces on Enceladus. To the right of the boundary is older, cratered terrain.